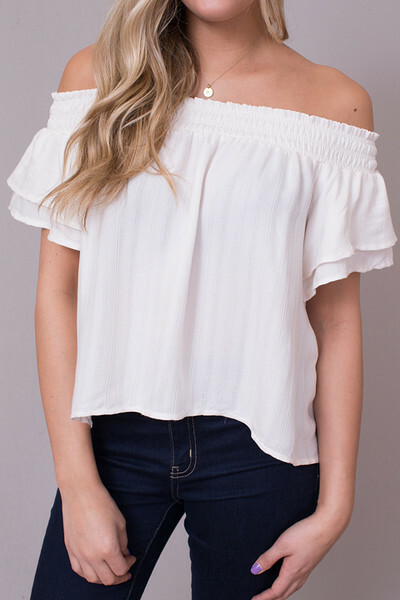 The Cameron Top made by ASTR The Label is a darling off-the-shoulder blouse. 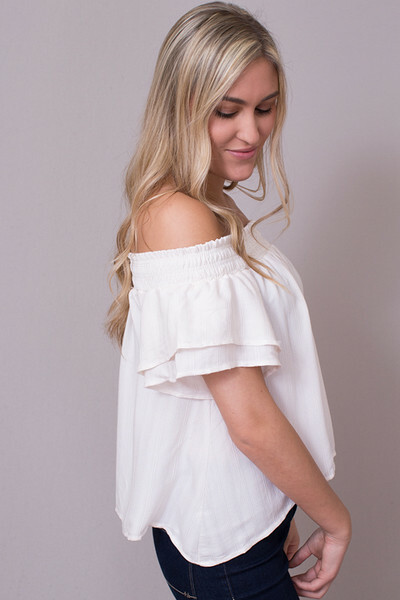 This cream colored beauty has a small ruffle on the shoulders and an elastic band that makes for a gorgeous, cool, casual off the shoulder look. 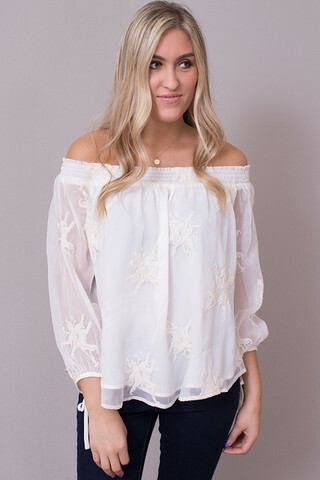 The sides are cut longer for a chic silhouette and the sleeves have a double ruffle which only adds to the movement of this piece. Pair this adorable piece with a pair of cut off shorts or a denim skirt for a carefree California look. 53% rayon and 47% polyester. Dry clean only.